Inside: The top Holiday Entertaining Trends of 2018 to host the best party of the season! You’re going to love these! This post brought to you in collaboration with STOUFFER’S. Whenever I search for holiday entertaining trends and ideas online, many of them seem a tad unrealistic for the average party host (aka me). 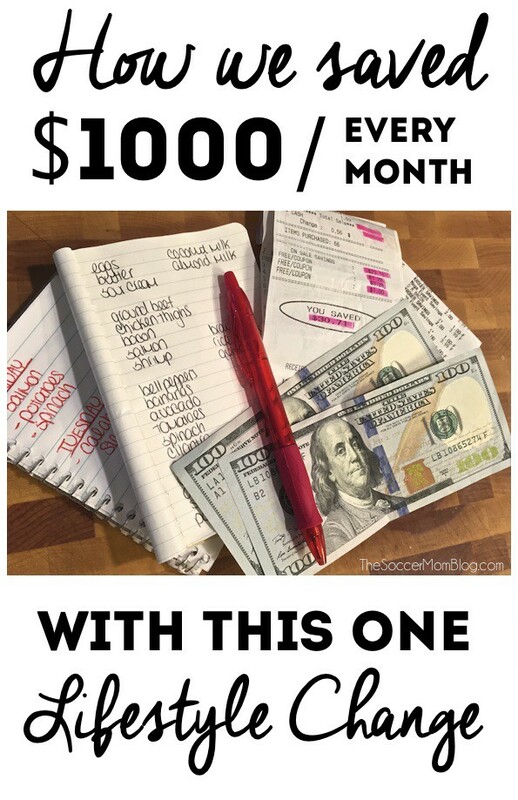 I need ideas that won’t break the budget, or take all day to pull off. 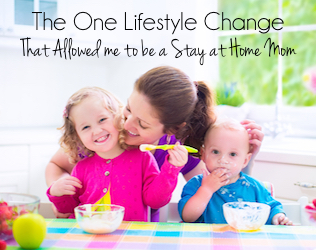 Because let’s face it, as a mom of three (including a four-month-old), I don’t have hours to spend cooking, crafting or decorating. Fortunately, the top holiday entertaining trends of 2018 are totally achievable — even for the novice chef or crafter! When I go to a holiday party, the number one thing I look forward to is the food! 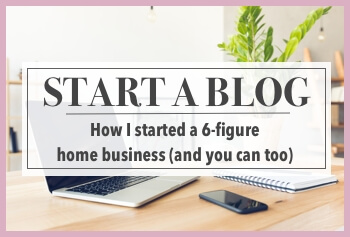 And I’m pretty sure that if you’re the one hosting, your guests are excited to see what you’re serving! 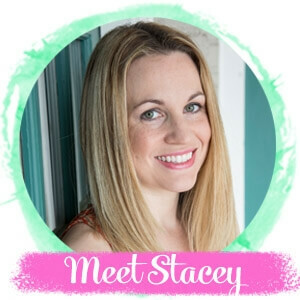 Entertaining and lifestyle blog Revel & Glitter says that while last season was all about sweets, in 2018 a focus on savory comfort food is the way to go. I never want my guests to go home hungry, so I like to serve a full meal instead of just “light bites.” However, at the same time, the holidays are busy, so we don’t always have the entire day to spend in the kitchen. 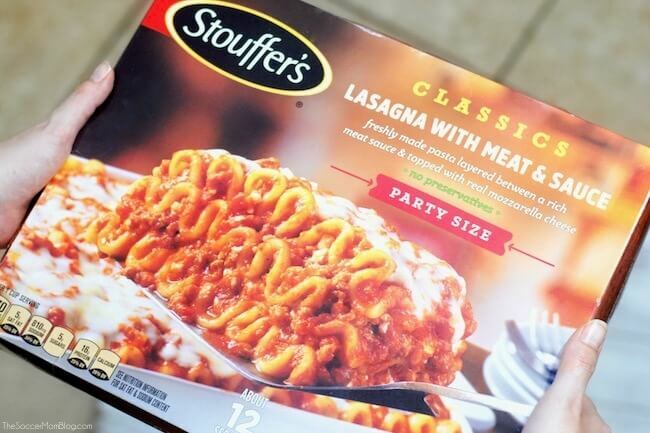 That’s why I love to keep STOUFFER’S® Classic Party Size Lasagna with Meat & Sauce in the freezer so we’re always ready to feed a crowd. And not just feed them, but WOW them! 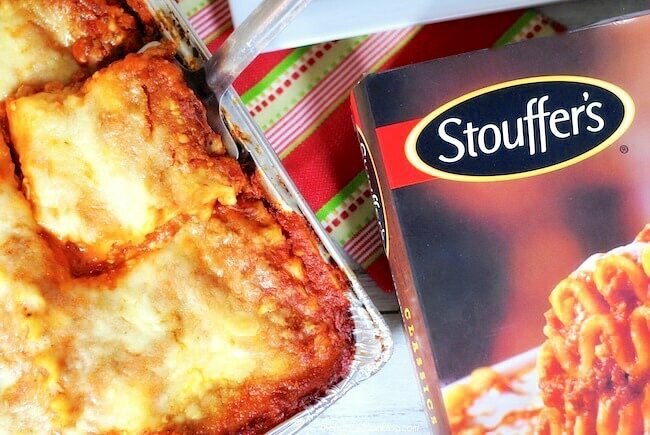 STOUFFER’S tastes just like homemade lasagna! That’s because in 2016, STOUFFER’S launched the “Kitchen Cupboard” initiative, a commitment to use ingredients you’d find in your own home — with no artificial flavors, colors or preservatives. 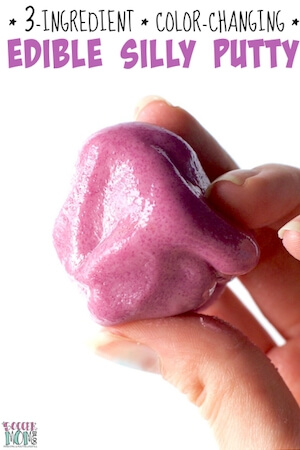 The ingredient list reads of only simple, real food ingredients. From freshly made pasta, made with just semolina flour and water, to vine-ripened tomatoes, a rich meat sauce, real mozzarella and aged parmesan cheese — you can actually see and taste the difference! I mean, if that doesn’t get your mouth-watering you might want to check your pulse! 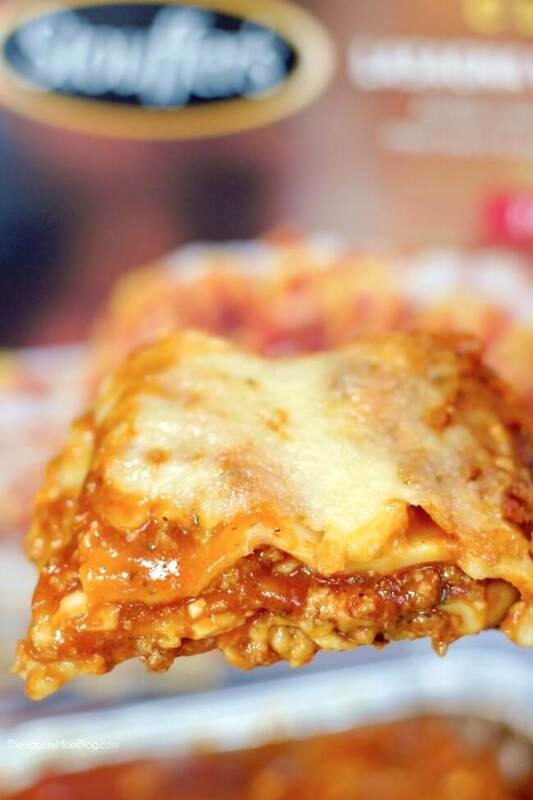 When you pop a STOUFFER’S Classic Party Size Lasagna with Meat & Sauce into your oven, you’ll enjoy that same homemade taste as if you’d spent all afternoon preparing it from scratch- without the work that goes into it! 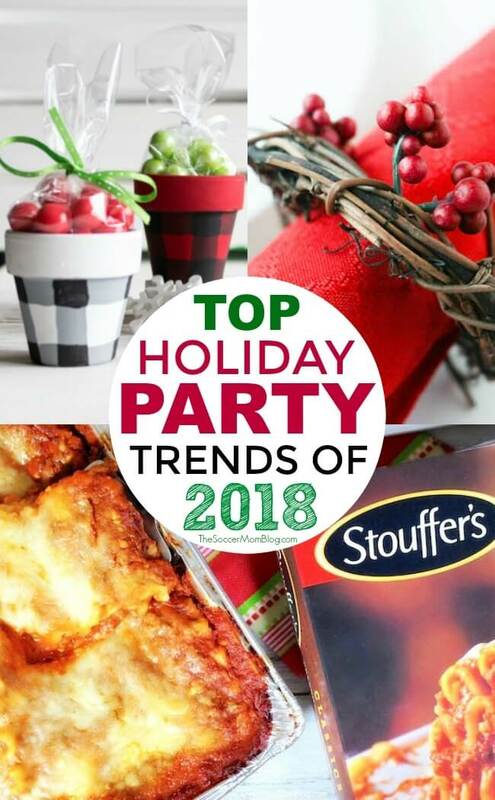 Be ready for the holiday party season and pick up a STOUFFER’S Classic Party Size Lasagna with Meat & Sauce for your freezer. Head to your local grocery store or visit www.stouffers.com/where-to-buy to find a retailer closest to you. I absolutely love fresh flowers, and there are actually quite a few benefits to fresh flowers in the home. However, I also incorporate artificial greenery to my holiday decor so it lasts all season…and the next, and the next, and so on. These easy DIY wreath napkin holders look rustic and outdoorsy, but since we used artificial sprigs, you can use them again and again. 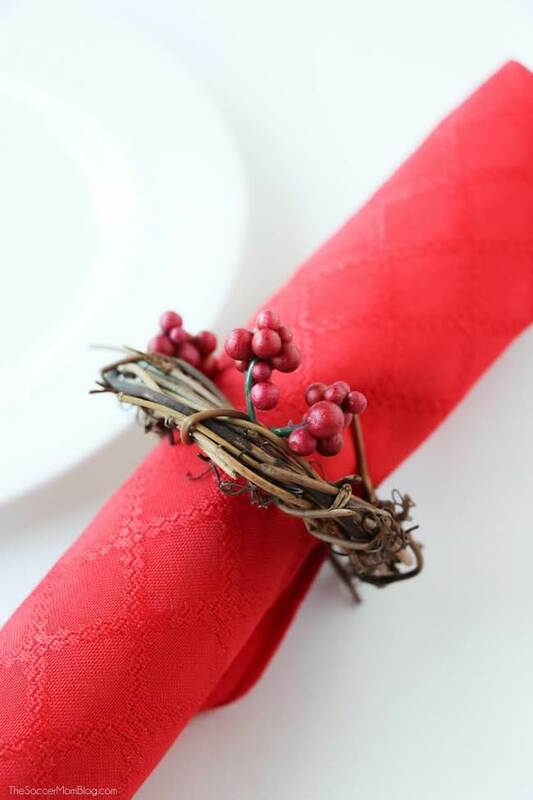 While they only take minutes to create, these wreath napkin holders look like they came from a trendy home decor store. Shhh…it will be our little secret! 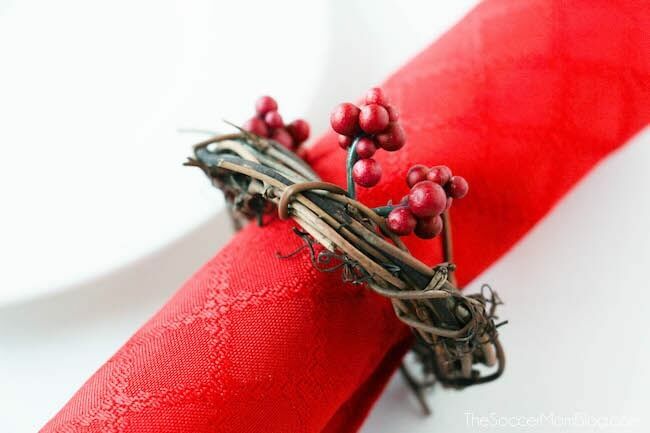 Related: Click here for full step-by-step instructions to make these 5-minute DIY Christmas Wreath Napkin Rings! Holiday parties are often notorious for being boozy affairs, however, one of the latest trends is to create “water bars,” with a variety of fruit-infused waters. Not only will this make your non-drinking guests feel special, but it will encourage all guests to stay hydrated. I like to offer a couple different flavors so guests can choose their favorite, as well as classic filtered water. When pairing with STOUFFER’S lasagna, I recommend waters that incorporate lemon and/or herbs. 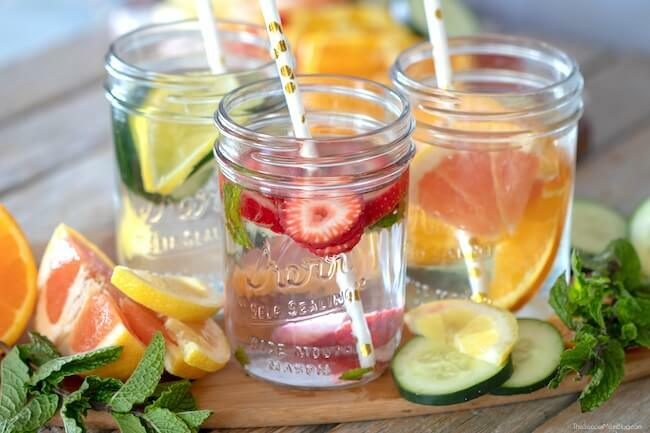 Related: Click here to see three of our favorite fruit infused water recipes! In just about every holiday catalogue or store display, you’re going to see lots of Buffalo Check patterns for both clothing and home goods. This is one holiday trend I love because the bright red of Buffalo Check just feels so cozy and festive. In fact, the girls and I are wearing buffalo check dresses for our family Christmas photos this year. Buffalo plaid also adds a festive touch to your holiday party decor. 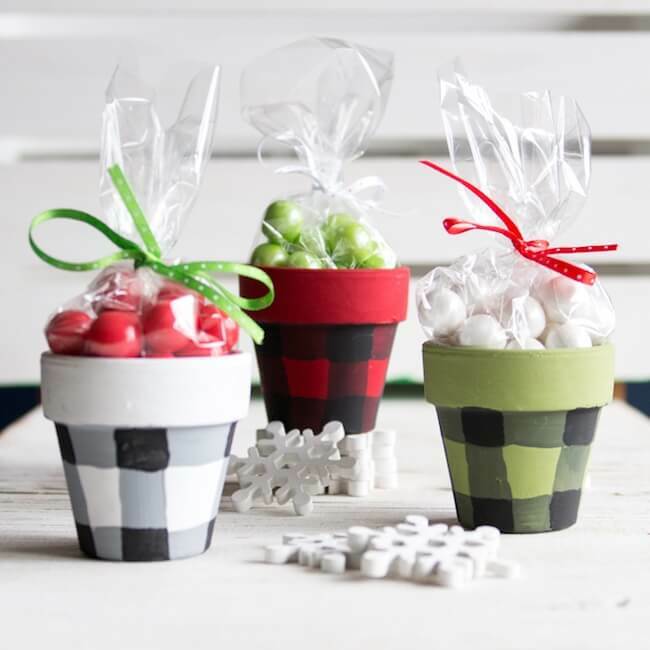 These Buffalo Check Painted Pots are perfect take home gifts for your guests! Related: Click here to see how to make these cute Buffalo Check Painted Pots above. Which of the top 2018 holiday entertaining trends is your favorite? Let us know in the comments below! « Should You Have a Baby Shower for Your Second Child?